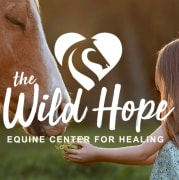 The Wild Hope Austin is a grassroots, nonprofit community care organization that provides equine therapy and related activities to reach, prevent, and restore all those affected by sexual abuse, exploitation, and trafficking. We are actively seeking individuals with a high level of integrity and passion to help survivors of sexual abuse/trafficking to serve a minimum of a 2-year term on our Founding Ambassador Board. Specifically, we are seeking fundraising and donor management professionals. Our Ambassador Board is a Christ-centered, Jesus-following group of courageous, servant leaders that value innovation, curiosity, and healthy relationships as cornerstones to growth and success. We value diversity and are looking to expand the Board to include more men who love the Lord. Expectations: 10 hours per month of your time, attend at least 75% of monthly board meetings, give or get personally significant donations, and passion about our mission. Board meetings held the 2nd Monday of each month. Learn more about The Wild Hope at www.thewildhopeaustin.org. Approximately 10 hours/month. We are the founding Board, so some months require more and other months require less.